Do you like gardening? If so, then come along and join other volunteers on the Social Blooms Gardening Project which is working in partnership with The Green Light Trust and funded by Great Yarmouth Borough Council meeting alternate Wednesdays and Fridays. For more information please contact Sian on 01493 856900. On Saturday 15th December between 10am and 3pm there is an Open Day in the Park where you can come along and meet the team and see our lovely flower beds. There will also be a chance to make your own Christmas decorations plus free entry to win a wooden reindeer. We also have lots of volunteering opportunities either in the office or charity shop through "Your Future in your Hands" as part of the Building Better Opportunities Project. If you wish to be part of this exciting new project please call Simon for more information on 01493 856900. 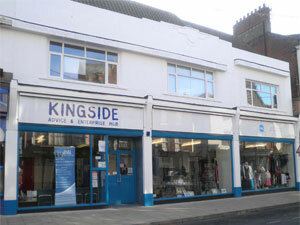 Other volunteering opportunities are also available so please call in at the office for more information. Norwich Credit Union are here Mondays 2-4pm and Fridays 10-12.30pm providing advice to anyone having trouble with opening a Bank account or just wanting to save for a rainy day or to simply pay the bills. Our Craft Club is held on a Thursday 10-3.30pm for those of you who enjoy crafts and being creative. Just come along to see what its all about and maybe join in and meet new people. Things we would like to share with you that are going on around us……………………………. The Louise Hamilton Centre held their first Renal Support Group on Wednesday 26th September 2pm-4pm and are now held on alternate Wednesdays and Thursdays. 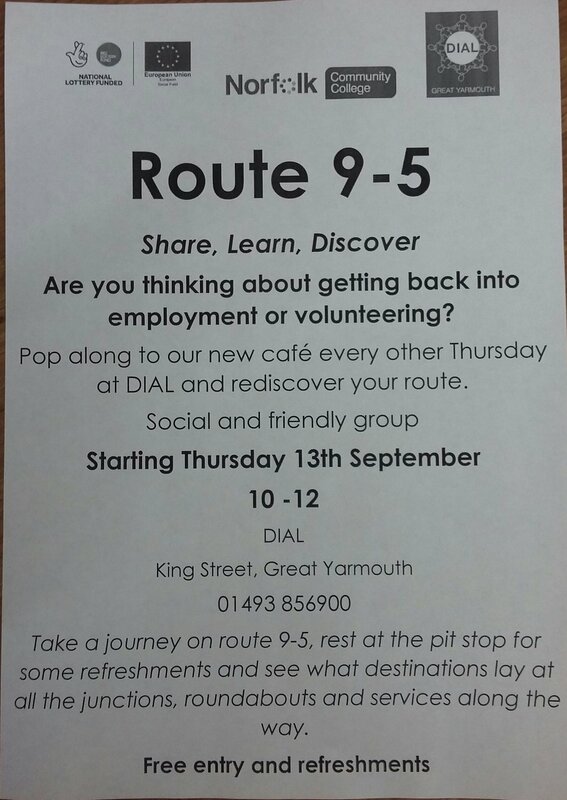 Also back in September a new cafe was held at DIAL 10am-12pm. For those who have been out of work for some time and would like help getting back into employment or volunteering.